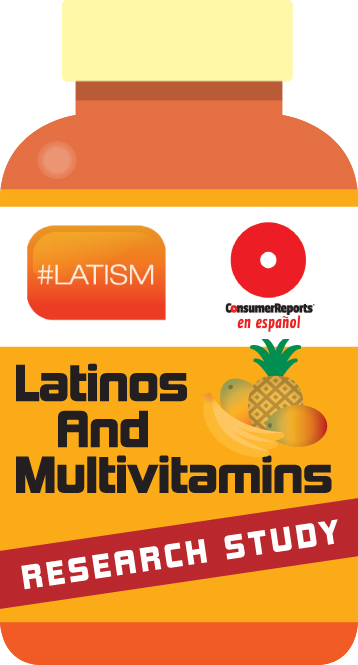 Social Lens Research recently assisted Consumer Reports en Español and LATISM in a research study about the usage of multivitamins in the Latino community. The findings revealed that Latinos frequently use vitamins and supplements often at the suggestion of a health professional, but with little counseling on potential contraindications of the combination with prescription drugs. And while Latino parents believe in the health benefits of vitamins and supplements for themselves, they are less convinced about using them for their children. As a result, Latino children receive them only intermittently. Latinos are heavy users of multivitamins, with 66% taking them at least once a week. Most are taking vitamins for health reasons: 46% to stay healthy in general, 26% to balance diet and 20% to improve physical performance. 57% have received a health professional’s recommendation to take multivitamins. 56% did not discuss with a doctor or pharmacist any potential issues in combining vitamins and supplements with prescription medications. Latino children’s use of vitamins lags behind the use by Latino adults. Only 56% are receiving multivitamins once a week or more frequently, versus 66% for adults. Compared to adults, children are less likely to receive vitamins. 16% of children never receive vitamins compared to 10% of adults. The study points to the need for Latinos to discuss their multivitamin usage with medical professionals to prevent any potential contraindications with prescription medications. Parents also need to better understand their children’s multivitamins needs and be more consistent about giving them to their children. The 500 study participants were recruited via social networks and Latina influencers. Study participants were 95% women, with 51% having children under 18 years old and 65% speaking mostly or only Spanish at home. Tell us what you think. Surprising? Not surprising? Why? Share your thoughts in the space below.